Product prices and availability are accurate as of 2019-04-20 23:26:46 UTC and are subject to change. Any price and availability information displayed on http://www.amazon.com/ at the time of purchase will apply to the purchase of this product. 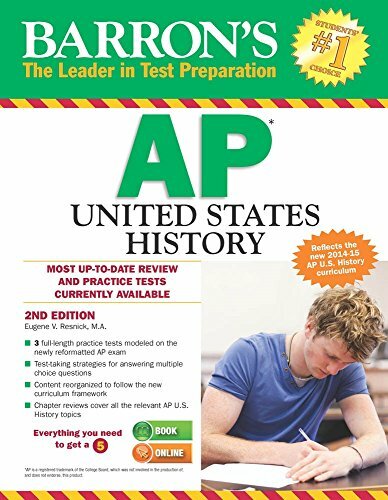 This extensive test prep manual covers the redesigned AP United States History curriculum, starting in 2014-2015, and will prepare students for the new exam being offered in May of 2015. 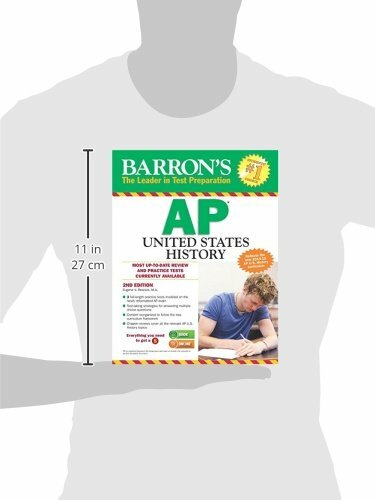 Students who purchase Barron's AP United States History will also get free access to an online test, for even more practice and review. The manual can be purchased alone or with an optional CD-ROM that presents two additional full-length practice tests with automatic scoring and fully explained answers.